The purpose of this article is to investigate the factors that impact on Egyptian consumers' attitudes and intentions to use online shopping by integrating the technology acceptance models of Davis, and Fishbein and Ajzen's theory of reasoned action. In addition, other variables will be added such as trust and perceived enjoyment for its theoretical framework. A total 306 current internet users in Egypt provided usable responses. Structural equation modelling was employed to test the proposed model and research hypotheses. The findings showed that perceived usefulness, perceived ease of use, trust and perceived enjoyment were the significant predictors of attitude toward online shopping; whereas, attitude, perceived usefulness and perceived enjoyment were the most important factors affect the behavioural intention toward online shopping. The article provides some useful suggestions for the practitioners within the online shopping field. The Technology Acceptance Model (TAM) is an information systems theory which derived from the Theory of Reasoned Action (Fishbein &Ajzen, 1975) to use in the field of Information Systems (IS) in order to explain technology acceptance behaviour (Davis, 1989; Davis et al., 1989; Venkatesh et al., 2003). Technology Acceptance Model was initially introduced by Davis (1986) and tested by Davis et al., (1989) to explain computer usage behaviour and accepting a particular “Information Systems Product” in a job context. The TAM theory postulates that perceived usefulness and perceived ease of use determine the individual’s intention to accept and use an information system, which in turn influences the individual’s actual behaviour. In fact, this theory has been successfully applied to many research settings in explaining and exploring the factors affecting consumers’ acceptance of various types of technology such as mobile settings (Lee et al., 2007; Zhou, 2011), technology based services (Wu et al., 2005; Lu et al., 2009; Lin et al., 2011), internet banking (Al Sukkar and Hasan, 2005, Celik, 2008), tourism setting (Kim et al., 2008; Metawie and Elseidi, 2015, Agag & El-Masry, 2016; Lin et al., 2010). In the e-commerce setting, numerous studies have validated the TAM model’s robustness in predicting and explaining consumers’ adoption and acceptance of new technology (Huang, 2008; Al Sukkar and Hasan, 2005, Li et al., 2017), including the online shopping (Lim and Ting, 2012, Yulihari et al, 2011; Lei, et al., 2002; Hassanein and Head, 2007; Lim, 2015; Lee, 2009; Albarq, 2014; Vijayasarathy, 2004; Wang, 2011; Chen et al., 2002). 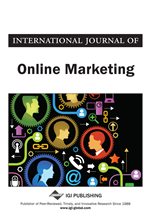 Although TAM model has been studied within the online shopping to understand and predict consumers’ behaviour to use or purchase from a website shopping, other factors such as trust and enjoyment have been extended to the original TAM in order to explain better consumers’ behaviour cross various online situations (Davis et al., 1992; Pavlou, 2003; Gefen, et al., 2003; Yu et al., 2005; Hassanein and Head, 2007; Ha and Stoel, 2009; Lim, 2015; Akroush and Al-Debei, 2015; Lee, 2009). Thus, the extended TAM model is appropriate framework for the present study.